Positiv Negativ aims to revise how the public understands the preservation, conservation, and restoration of photographic materials. Each entry is related to the history of photography, photographic processes, or about projects the blog’s author participated. 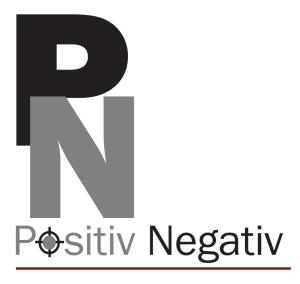 The name, Positiv Negativ, refers directly to the nature of photographic processes. The lack of the last letter is intentional, so an “o” can change in Spanish to Positivo Negativo, or an “e” in English: Positive Negative. These are the languages spoken in the countries that are the author’s home: Costa Rica and the United States. The photographic archives are of great scientific and historical value. They allow studying the materials used for the negatives and their positive, from the chemical reagents, processes, and papers employed, to the ways of presenting the photographs. These objects (product of the use of a lens and a nowadays an old camera), bring out a greater understanding of the evolution of photographic equipment and the history of photography. Although one can reproduce photographs, the negative is the document containing the scene the photographer decided to frame. Thus, negatives are like the primary source of information. Like a book or family jewel, those original documents also reveal the style of the photographers and the personal marks they left on their surface, like numbers and signature, are the few sources of information that allow studying a photographer from the late nineteenth and early twentieth century. Readers are invited to participate in a discussion about the topics presented here. Cheers and I hope you enjoy the blog. Alejandra is a curator of photography who for the past ten has dedicated herself to searching for photographic collections of Costa Rica, both inside and outside the country. Throughout this process, she has found books, documents, photographs and negatives from photographers, and family albums that reveal the rich history of the country. Tragically, these documents deteriorate naturally, which can be accelerated by the lack of adequate storage in humid climates. With a degree in Food Technology from the University of Costa Rica, originally Alejandra worked in the dairy industry of Costa Rica, in the Center for Research in Natural Products – CIPRONA – of the University of Costa Rica, and in dried fruit and fruit concentrates in California, United States. Around 1996, when the Silicon Valley displaced the food industry from the Santa Clara Valley, California, Alejandra opted to go back to school and study a subject that always fascinated her: photography. She enrolled at Foothill College, Los Altos Hills, California, where she studied photography and graphic design. 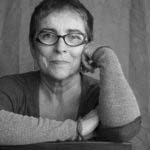 Like the knots of bobbin lace, Alejandra’s roots, combined with her scientific and photographic knowledge lead naturally with her studies related to the photography of Costa Rica’s past. The urgent need for action to prevent the degradation loss of the Costa Rican photographic legacy motivated Alejandra to start this blog as a dialogic gathering. Readers are invited to write their comments and reflections to enrich the collective knowledge around the issues of the process of preserving and conserving visual memory. Alejandra resides and works in Palo Alto, California, United States. She frequently travels her city of birth Heredia, Costa Rica, where she maintains projects of oral history, photography, and digitization of photographic archives. Korda Moda (2013), Raúl Cañibano: Storyteller(2015), Las Fotos de mi tata Mario Roa: Costa Rica (1936-1946) (2017), Memories of Miriam Álvarez Brenes (2017) and Chaverri Benavides Family (2017). We invite you to participate in this dialogue, to share your experiences, and to suggest topics for future conversations. This blog has no profit objectives.